The Department of Transport (DoT) is proposing a new Bill that would replace the existing Road Accident Fund as we know it and replace it with the so-called RABS which is aimed to ensure a reasonable, equitable, affordable and sustainable system of structured benefits. 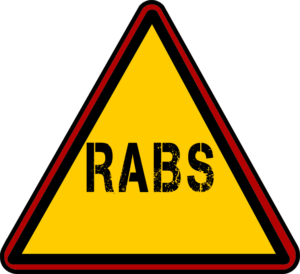 What are the biggest differences between RAF and RABS, and how will this impact on road accident victims? Currently victims are excluded from claiming from the RAF if they are the sole cause of a road accident. In terms of RABS everyone will be able to claim, but RABS drastically decreases the benefits claimable and also removes lump sum payments for the seriously injured road accident victim. 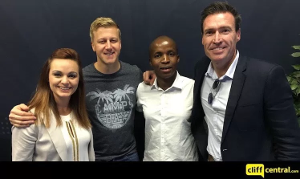 The current RAF system of compensation is common law based which means that each individual enjoys the same rights under the Act. The RAF indemnifies the seriously injured victim. RABS provides a limited structured benefit which is not aimed at full compensation. The RABS Administrator will provide a benefit which would not cover the full extent of the loss as the purpose is to encourage an injured victim to return to their workplace as to curb the culture of dependency. The key selling points of the proposed Bill are that it is based on a “no fault” system and that there are structured benefits on offer. It is said that these two key changes would drastically reduce the administrative and financial strain currently experienced under the RAF dispensation. Closer scrutiny of the RABS Bill, however reveals the seriously prejudicial nature of the Bill having regard to the practical effect it would have on the typical South African road crash victim. Consecutive commissions of enquiry into the compensation system held that no fault is unaffordable as it would just about double the government’s compensation bill. Would no fault be appropriate for South African circumstances, do we really want to compensate the hijacker and habitual criminal? No service level agreements had been secured with Private Health Services thus victims under RABS will be no better off than under the current system as far as medical care is concerned. It would be premature to say that RABS will be more affordable as the tariff at which medical care will be provided for each and every road accident victim under a “no fault” system are not yet known. If the tariff is similar to the tariff proposed under the Road Accident Fund Amendment Act, it is doubtful if Private Health would be interested in participating. Victims that fall under the RABS Administration would be running the risk of being liable to pay the excess on medical and related accounts not covered by the yet to be published medical tariff. Road accident victims currently enjoy access to immediate medical care and do not have to qualify under stringent rules to qualify for long term medical care as envisaged by the RABS Bill. Rehabilitation, which includes vocational rehabilitation, is apparently a primary objective of RABS. The argument goes that rehabilitation is a just substitute for general damages. It should be kept in mind that only 16% of claims constitute serious injuries, requiring some kind of rehabilitation. From this percentage, only a small part would be suitable candidates for vocational rehabilitation. Seeing that such great emphasis is put on rehabilitation in the Bill, it appears that there might be a perception that rehabilitation will restore function, when in fact it facilitates the process of recovery from injury, yet will in only a few cases restore full function and be of little or no consequence to most road accident victims. The question is, how does Government plan to achieve this goal when there are little or no supportive structures in place? Representatives of the RAF have made it clear that the functioning of RABS will not be dependent on the introduction of the National Health Insurance (NHI). Vocational rehabilitation is an out-patient service, such facilities will have to be available and accessible wherever the claimants reside, thus many such facilities should be made available across the country, also in rural areas. The expected outcome of putting a person through such a programme is presumably that he or she would then secure and sustain employment? Considering that most seriously injured individuals will still have residual difficulties even after a lengthy and intensive period of rehabilitation and training, prospective employers will have to be sympathetic in order to accommodate these difficulties in the workplace. How many employers would be willing to allow certain accommodations, even though it may be “reasonable” when there is an abundance of able bodies out there? A recent newspaper article reported that the RAF owe the Kwa-Zulu Natal Health Department R100 million in unpaid RAF related medical expenses. Introducing a no fault system on top of the existing RAF system, would cripple the already struggling Government Health system. Private healthcare service providers would think twice about engaging the RABS Administrator under these circumstances (it is envisaged that the current RAF would be assimilated by the RABS Administrator) which would leave road accident victims with little or no chance of a meaningful recovery after a devastating road accident. If no fault is introduced at the current level of funding, it will result in an even larger deficit increased taxes and even result in the drastic reduction of compensation to keep it afloat. The latter will defeat the object of social security. The RABS administrator would be able to review, revise and terminate the successful claimants’ benefits with a system of medical peer review. The fact that the administrator may withdraw benefits at any given time (taking into account budget constraints and changes in personal circumstances) would imply that the road accident victim would have no long term financial security under the RABS administrator. As officers of the Court and custodians of public interest, we are obliged to act against and ensure that the rights of all South African road users are protected, regardless of background, social status or age. The obvious solution would be for Government to comply with their Constitutional duty to ensure the safety of road users and create a safe road transportation environment. All road users have a Constitutional right to movement and travel. Government should, rather than concentrate on the consequences of road accidents and its funding, focus on the dimension of the prevention of road accidents, especially under circumstances where South Africa has one of the highest road traffic accidents in the world. The LSNP is pioneering the opposition of the RABS Bill, the members having agreed to fund a campaign in terms of which the public is made aware of the proposed new legislation and to ensure that the LSNP engages all the roll players and decision makers to ensure that a well-researched, practical and transparent solution is reached in the decision making process. Various advertisements have been aired and numerous radio and television interviews have been conducted with members of the LSNP Council. The response from the public was encouraging and looking at the response of the Road Accident Fund, we definitely struck a nerve that enticed fruitful dialogue. In one of the interviews with Kaya FM, a representative from the DoT phoned in and cautioned not to: “frighten the public”. An interesting comment coming from the very Department that intends to introduce this “frightful” new legislation to the very public they are mandated to protect. The RABS Bill was presented to Nedlac (National Economic Development and Labour Council) in November 2015. Nedlac is South Africa’s most important social dialogue structure and plays a vital role in the policy and law-making process in South Africa. Nedlac brings together representatives from Government, organized labour, organized business and the community to consider all socio-economic and labour law legislation. Nedlac considers all significant changes to social and economic policy before a Bill is introduced in Parliament. The RABS Bill was criticized on various aspects by Nedlac, many of whom were concerns raised by the LSNP during the public Commentary process. Some of the key issues raised by Nedlac were the claim and Appeal process as stipulated in the RABS Bill, which would amount to nothing more than “lip service” not offering the victim any objective chance of successfully claiming from the RABS Administrator or deny him or her access to Court should they feel aggrieved by any actions taken or not taken by the RABS Administrator. As a result of the LSNP, RABS campaign and the awareness it created, members of the Council were invited to a recent SACCI (South African Chamber of Commerce and Industry) presentation on the importance of a RIA (Regulatory Impact Assessment) on all proposed new legislation. The implications of the RABS Bill was brought to the attention of the attendees and it was quite evident that the DoT would be well advised to require that a RIA be done of the RABS Bill prior to considering the implementation thereof. The DoT is yet to prove that the proposed Bill would indeed “ticks all the boxes” they said it would and there are certainly a lot more work to be done in this regard. During a Portfolio meeting in Parliament on 7 April 2016, Dr. Eugene Watson confirmed that Treasury are still considering funding models to ensure the longevity of the proposed RABS Bill. If the Bill is accepted it would be tabled at Parliament for consideration. The Chairperson confirmed that the bill would be scrutinized at that point and that stakeholders would be able to address the Committee on the various aspect of the proposed Bill. The Dot has amended its legislative program to only provide for the implementation of the Bill by 2019/2020. The fact that Nedlac is in disagreement with various aspects of the Bill, implies that the DoT would have to reconsider and change the Bill to accommodate the proposals and essentially having to start the whole process ‘ab initio. What is clear however is that the Dot is very adamant to change the current dispensation and we as a fraternity should not be naïve to think that it will not. However, we have effectively been given a second chance to engage Government and the Dot to propose and assist in finding the best possible solution for all parties involved. The real work starts now and the LSNP will continue to actively engage the Dot, RAF, LSSA, other Provincial Law Societies, the Bar Council and public in an effort to raise awareness, muster support and empower the decision makers with the knowledge to make concise decisions that would be truly transparent, equitable and to the benefit of all. Legislation: Treasury concerns about RABS Bill to be addressed?